Attorney Marc L. Breakstone, who is representing a family who lost a loved one in the Lynnway Auto Auction crash, speaks to WHDH TV in Boston. Watch. 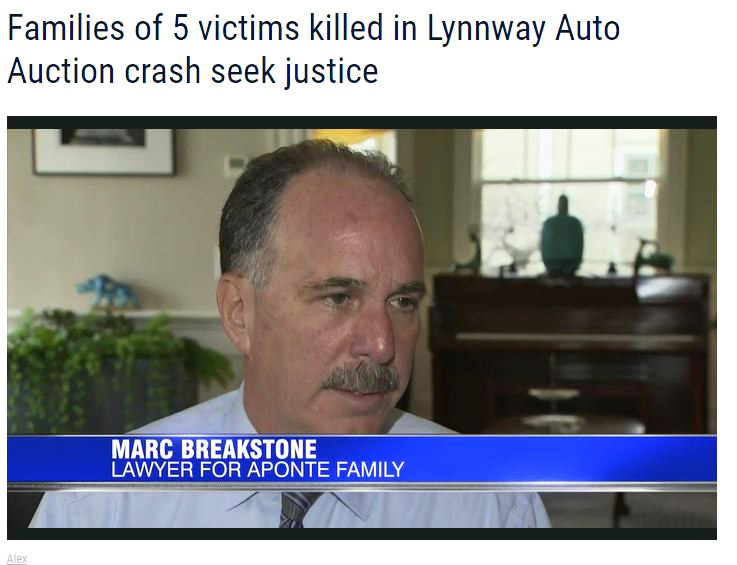 Attorney Marc L. Breakstone was interviewed by WHDH TV yesterday, following the announcement that the Lynnway Auto Auction, Inc. and company president James Lamb will each face five counts of manslaughter in the 2017 crash killing five people. Breakstone is representing one of the families who lost a loved one.